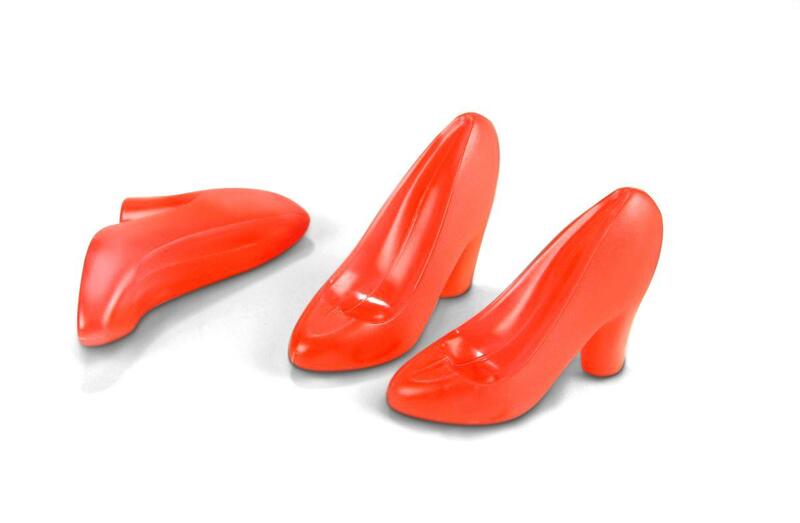 Reusable high heel ice cubes in a nice red color. Basically they are a plastic object that has water in its interior. You put them in the freezer and then throw them in your drink and it keeps them cool. Each of the little heels is filled with water but inside a kind of plastic container. The container is quite large for each of them so it is not something you will choke on. 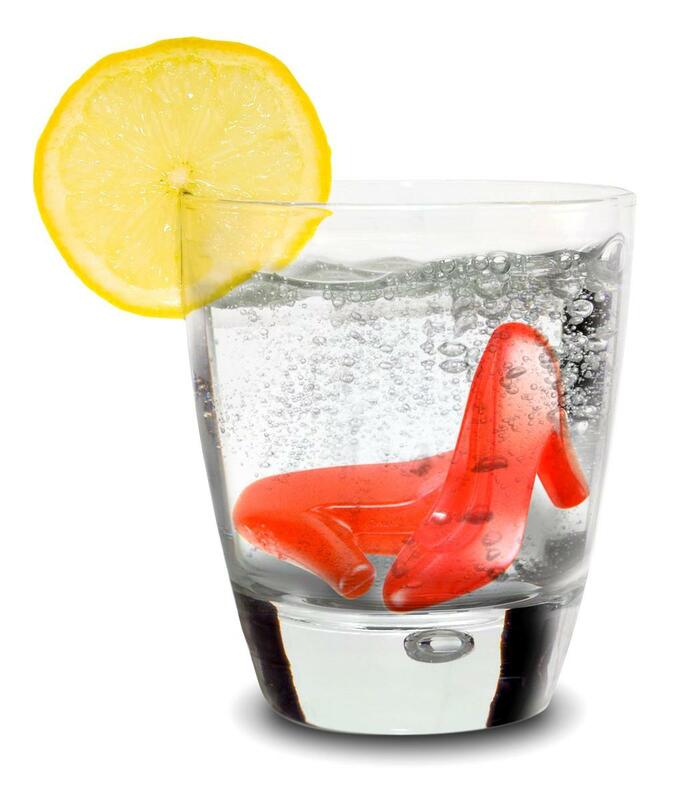 The best possible ice cubes for shoe fanatics (and I know their are a lot of you out there). This item simply looks amazing, with basically no one complaining about the appearance. The red is a nice color but not solid enough that the water beneath cannot be seen through it. They really look amazing in the glass, particularly if there is a clear liquid within it or even if there is a liquid that contrasts well with the red. Another great thing about the item is that it does not melt into your drink. So it keeps it quite cold but because the water is contained in the shoes it does not dilute the drink, certainly a benefit. As a result it does not keep your drink as cold as ice but it does not dilute it, so a mixed benefit and negative in one. The primary and pretty much only complaint about the item is that each of them is a bit too large. As a result if you are planning to put them in martini glasses then chances are that they simply will not fit. The reason they are large is because you would likely choke on them were they smaller, but all the same it is a bit of an issue if you want them for smaller glasses. Short version is that the item is nice and keeps your drink cool without melting into it, though not as cool as ice does.